For fashion magazines, September, is the biggest issue of the year. It’s the time when the number of ad pages skyrocket and brands vie for highly coveted editorial placements that announce what the trends are for the remainder of the year. The September issue for some of the top titles can have close to 1,000 pages (ahem, Vogue), making it difficult for brands to stick out even if their product makes it into the book. 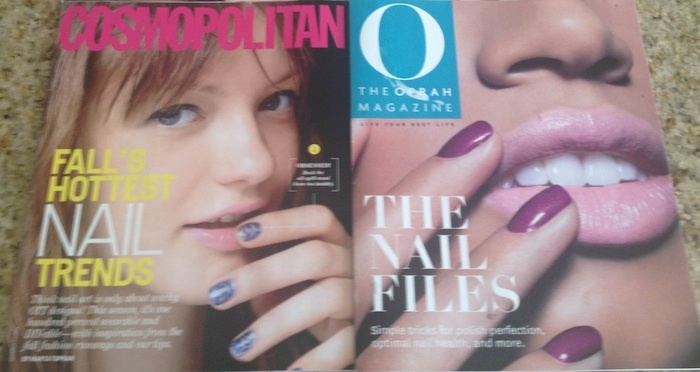 Which is why I thought beauty giant Sally Hansen‘s strategy of creating a branded mini magazine for subscribers of ELLE, Marie Claire, Cosmopolitan and O! The Oprah Magazine, was a great idea. They created four different mini magazines that fit the aesthetic of each publication. 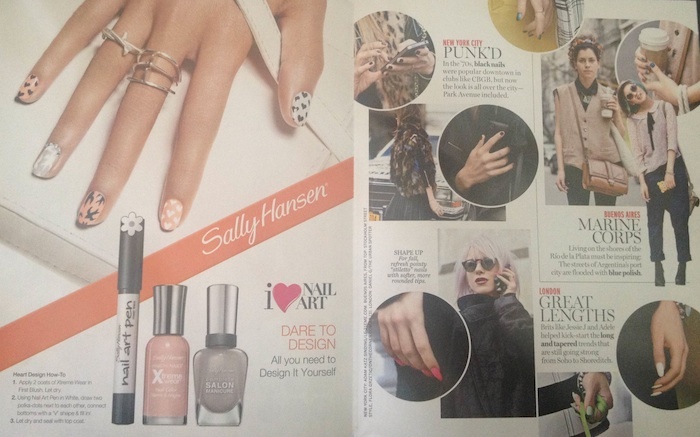 Inside the mini mags were nail art tutorials from the company’s brand ambassador and lead manicurist Tracylee Percival, polish trend stories and street style photos (like the one shown below). If more companies started creating branded content that actually provides value to the reader and serves the dual purpose of advertising a product, everyone wins.